Dry eye disease is a result of many factors, including but not limited to environment, age, gender, medications, concurrent medical conditions, and contact lens wear. Your tears are composed of three layers: an innermost mucous layer, a middle aqueous layer, and an outermost lipid layer. The mucous layer adheres the tears to the front surface of the eye and is created by the goblet cells in your conjunctiva, the clear tissue above the white part of your eye. The aqueous layer is the watery part of your tears and is created by the lacrimal glands. The lipid layer is made of meibum, an oily substance that is secreted by the meibomian glands in your eyelids. This oily layer stabilizes the tear film and prevents the tears from evaporating from the front surface of your eye, creating a healthy, consistent tear film. There are two principal types of dry eye disease: aqueous deficient and evaporative. Aqueous deficient dry eye occurs when your lacrimal glands are not secreting enough of the watery component of your tears, resulting in a reduction in the amount of tears on your eye. Evaporative dry eye, the more common type of dry eye disease, occurs when the meibomian glands are not secreting an adequate amount of meibum into the lipid layer, causing poor tear quality and increased evaporation of tears off of your eye. This poor tear quality is a result of meibomian gland dysfunction (MGD) or degeneration of meibomian glands. 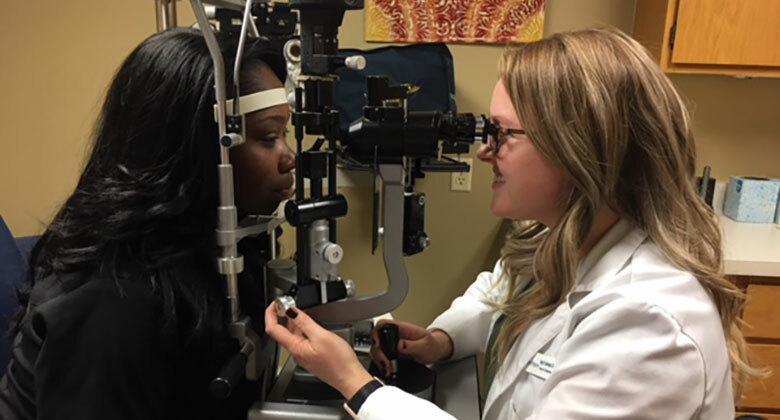 Because Dr. Schroeder is continuously striving to implement the industry’s most up-to-date dry eye treatments and services for her patients, the measurements and treatments listed above are not all-inclusive. Please schedule an appointment for a dry eye evaluation with Dr. Schroeder to discuss the best treatment options for you.